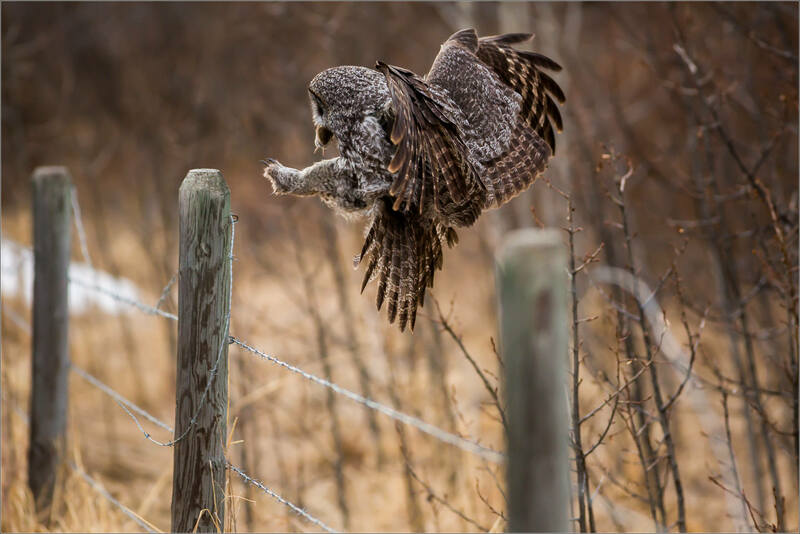 After hunting in the forest for a while, the owl flew to the edge of the tree line and operated from the fenceposts there. 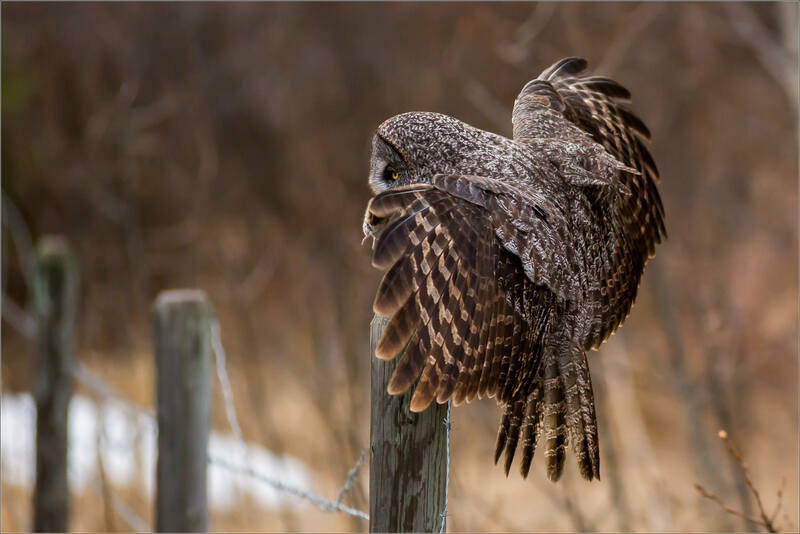 He snagged two field mice within a couple of minutes, consuming one in the grass and one on a post. He then flew deep into the woods. 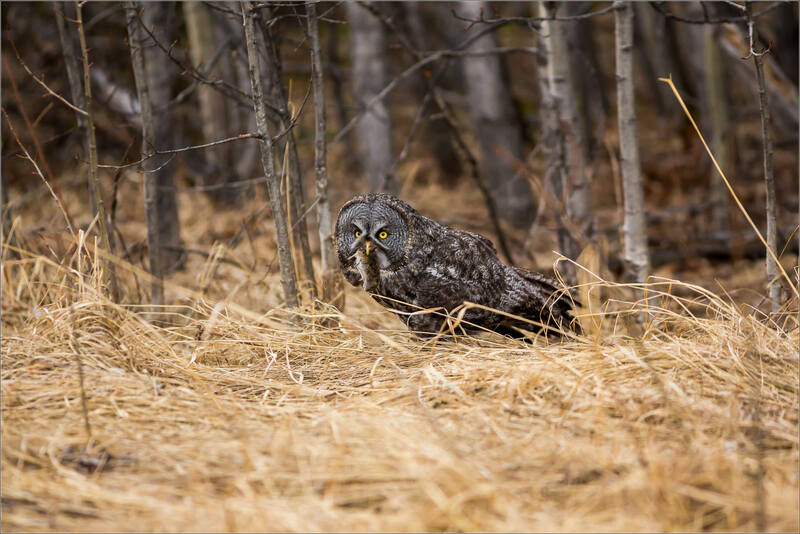 Possibly to share with its mate or to continue hunting in another area. 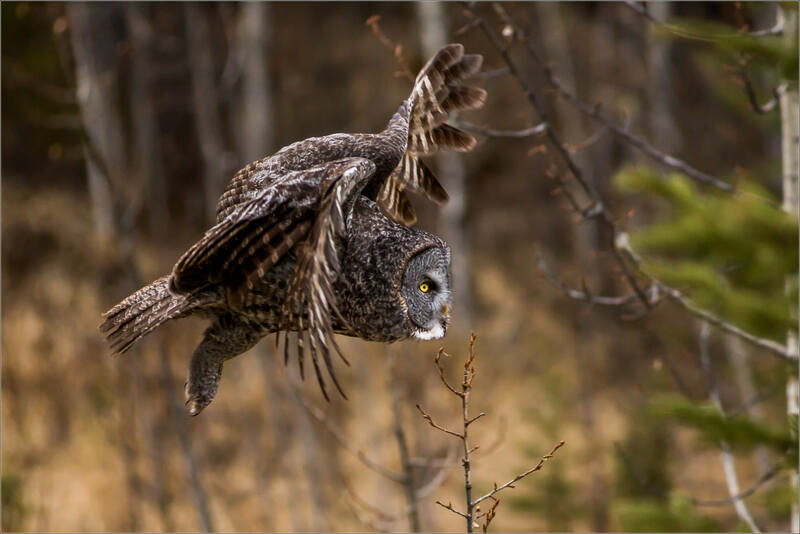 This entry was posted on April 14, 2015 by Christopher Martin. 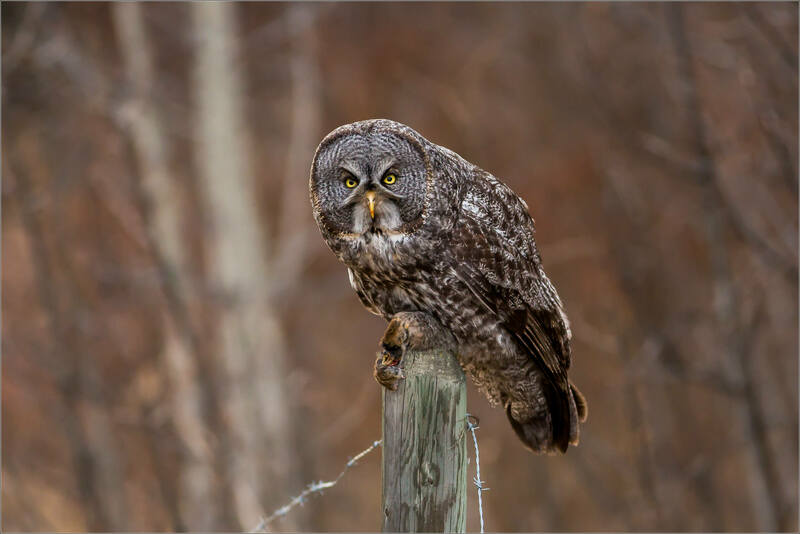 It was filed under Nature, Owls, Wildlife and was tagged with alberta, animal, bird, bragg creek, Canada, Great Gray Owl, owl, wildlife photography. Thank you Calee – I totally agree. Wow! What a great group of shots.